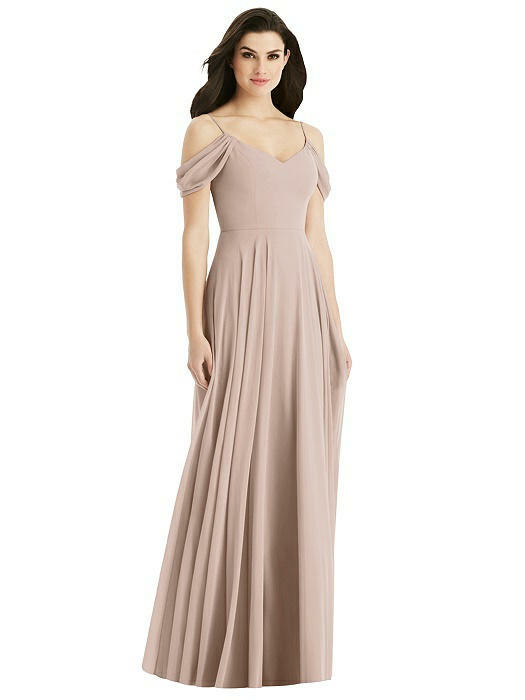 Figure-flattering draped off-the-shoulder straps complete the romantic silhouette on this lux chiffon dress. A sophisticated draped cowl cascades from the back of delicate spaghetti straps, complementing a low scoop back. Balanced with a full-length circle skirt, an hourglass shape is enhanced.